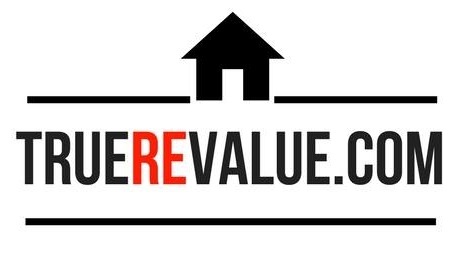 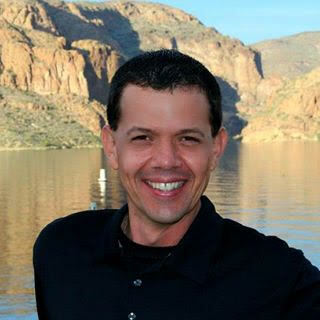 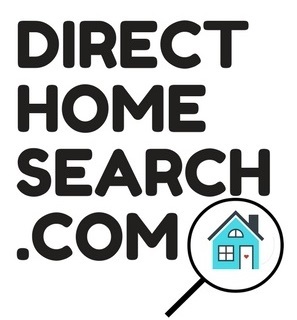 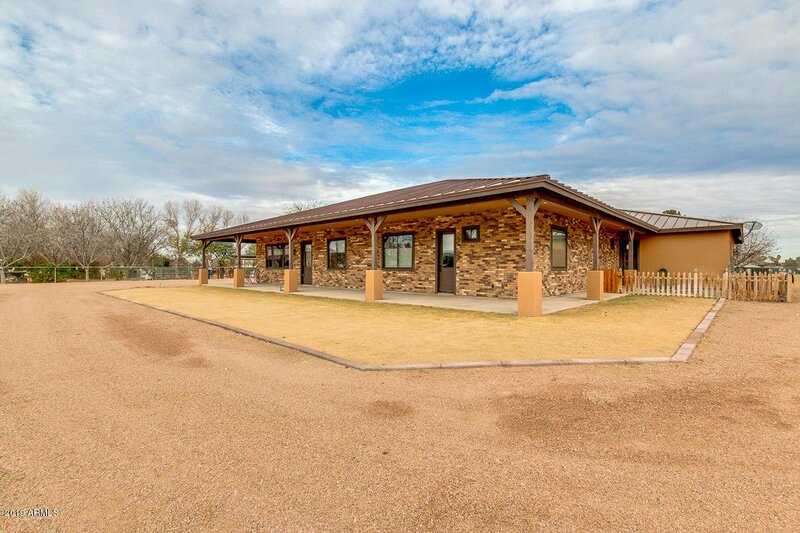 Pride of ownership shows in this beautiful, energy efficient, custom home, set back on approx. 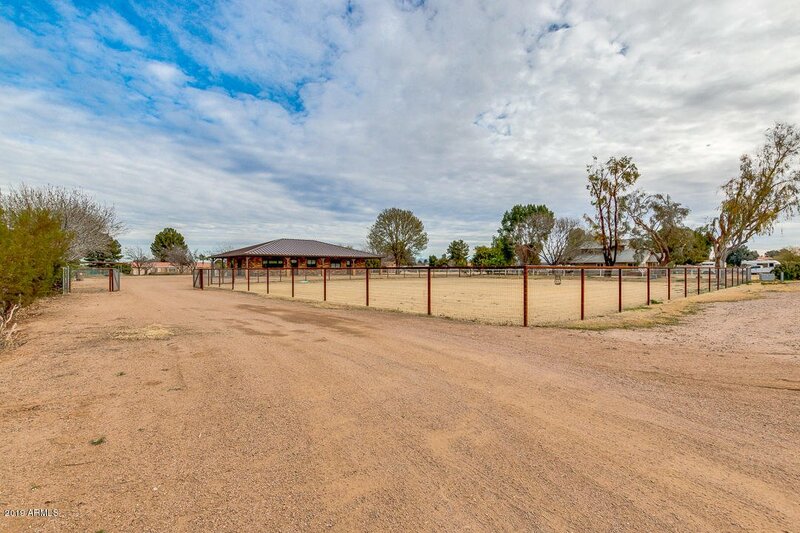 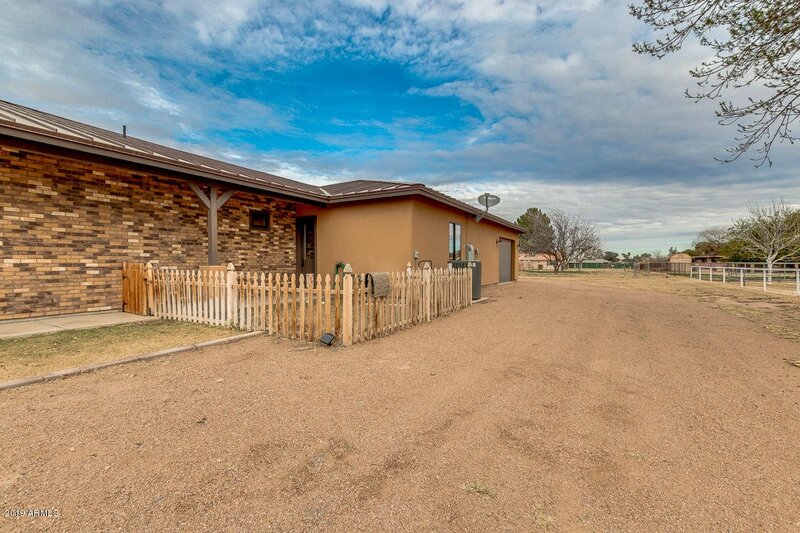 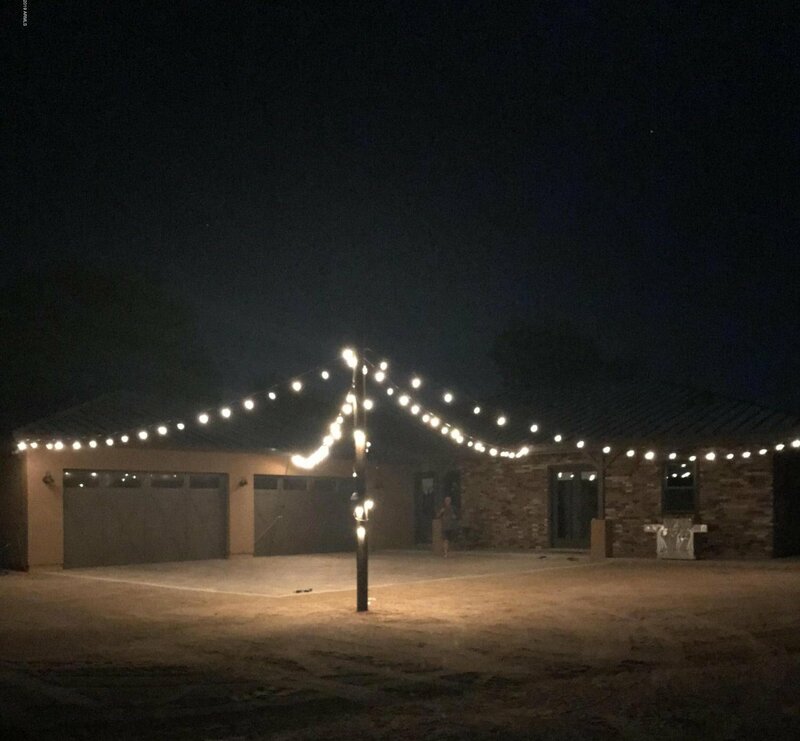 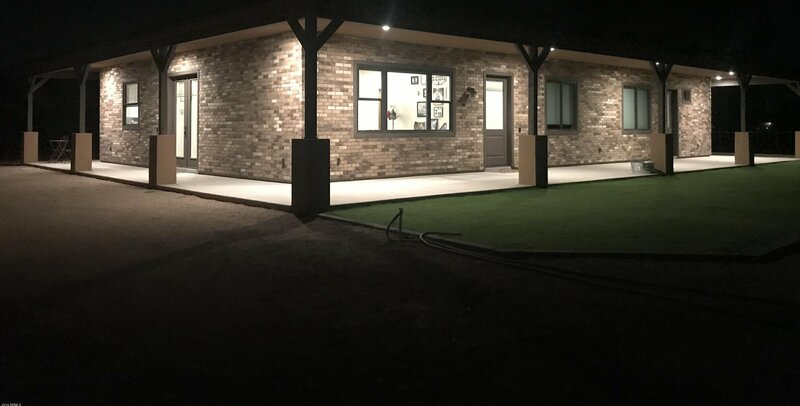 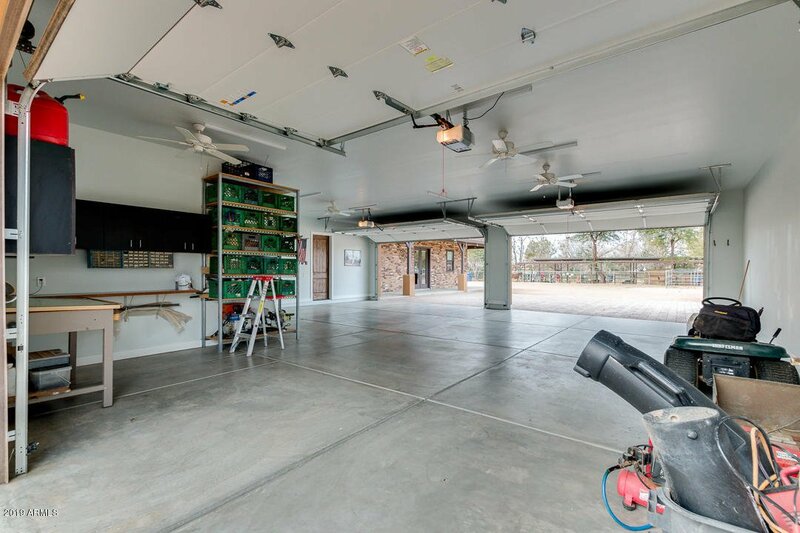 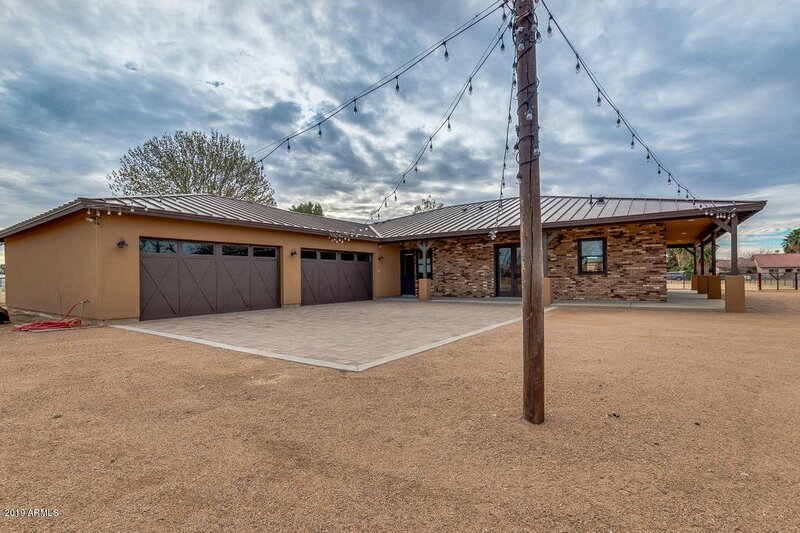 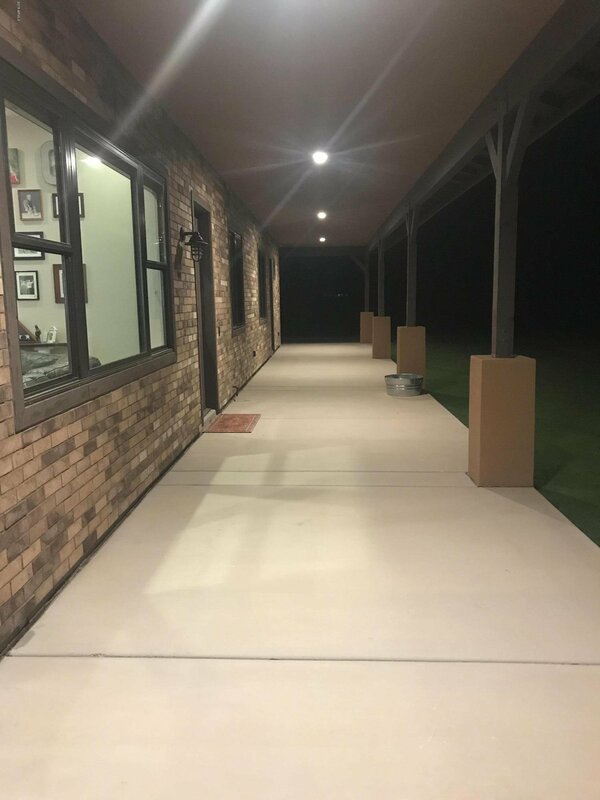 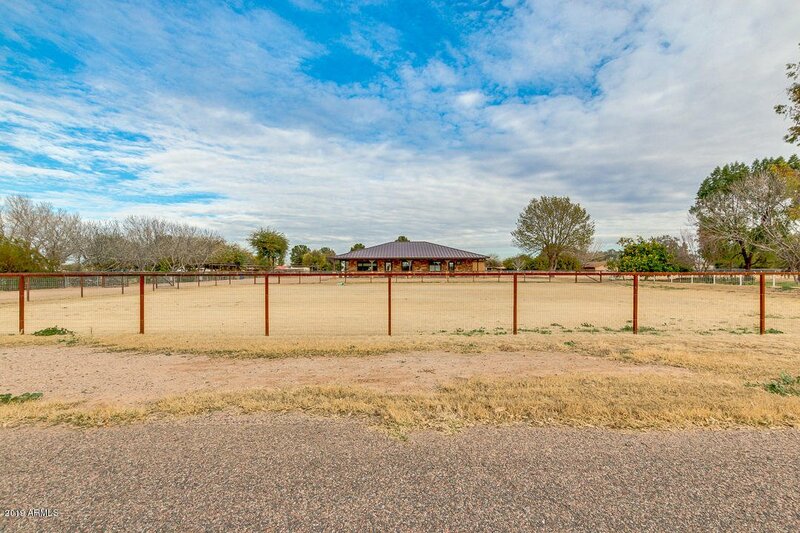 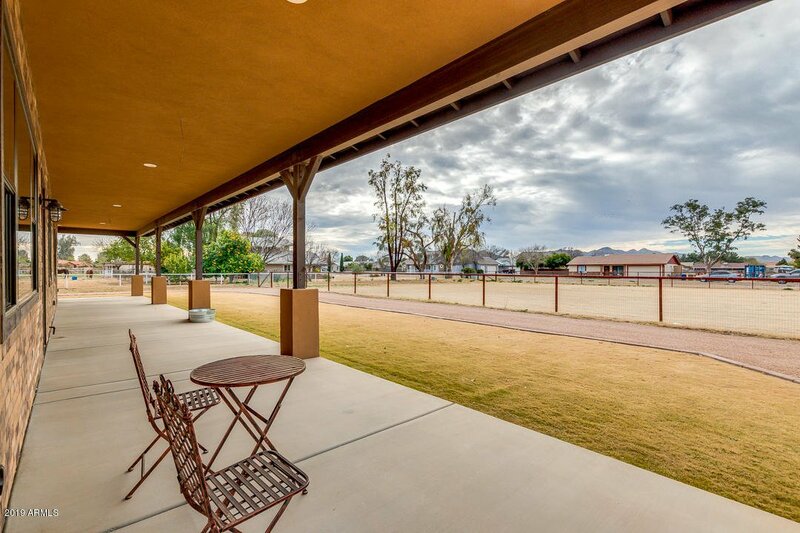 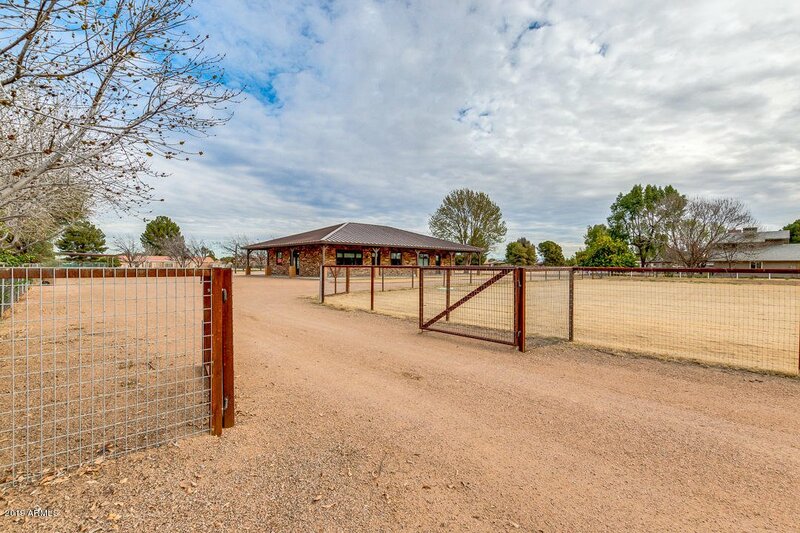 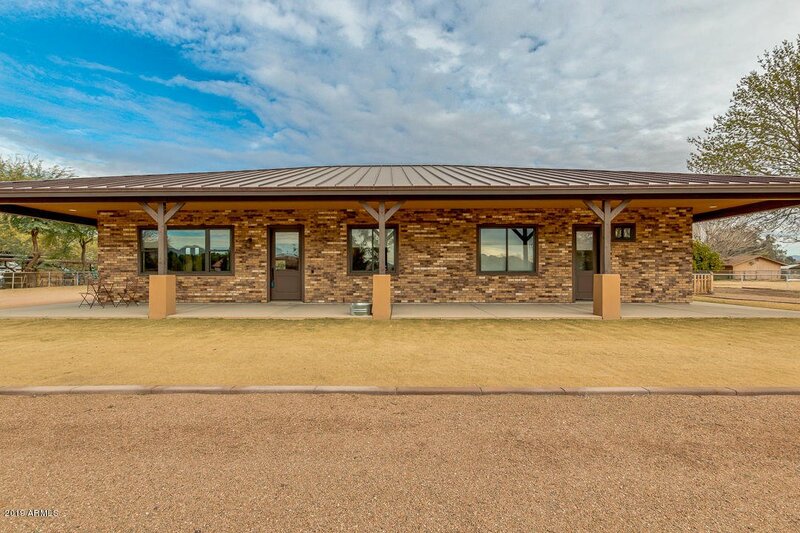 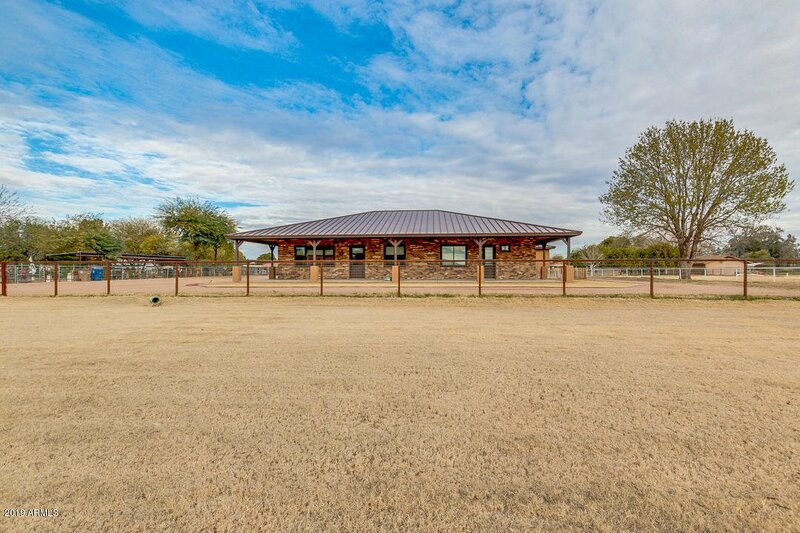 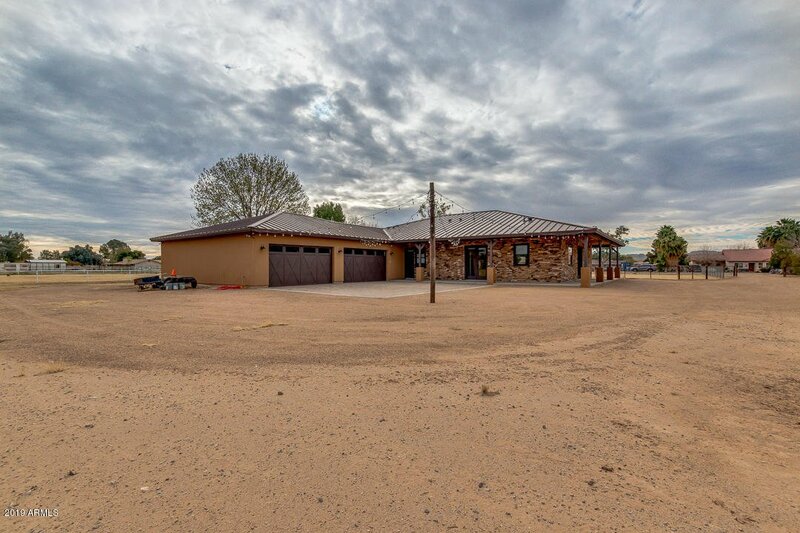 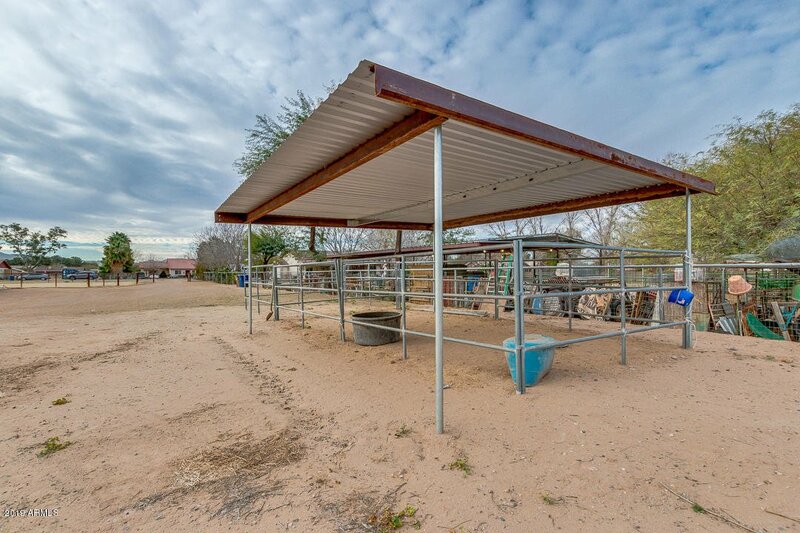 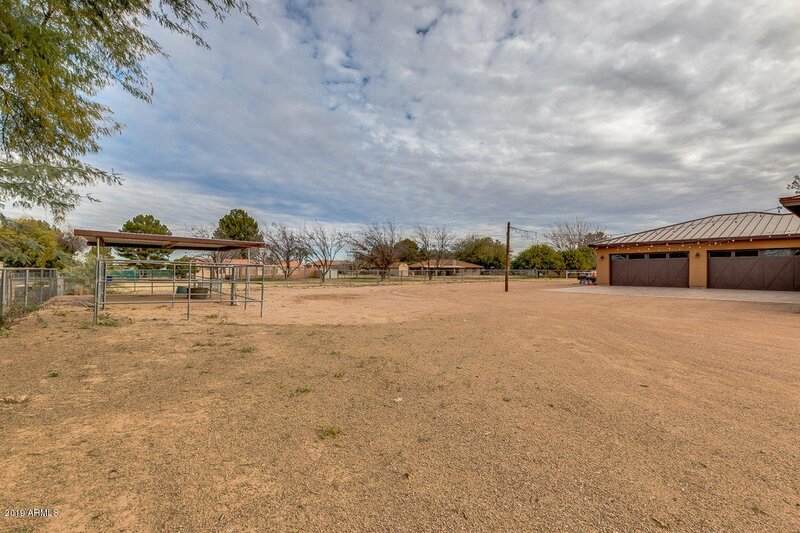 1.2 acre irrigated property with a fenced pasture at front, double gated driveway, wrap-around, covered porch, a horse stall in back, and a six car attached garage with an additional 200 sq. 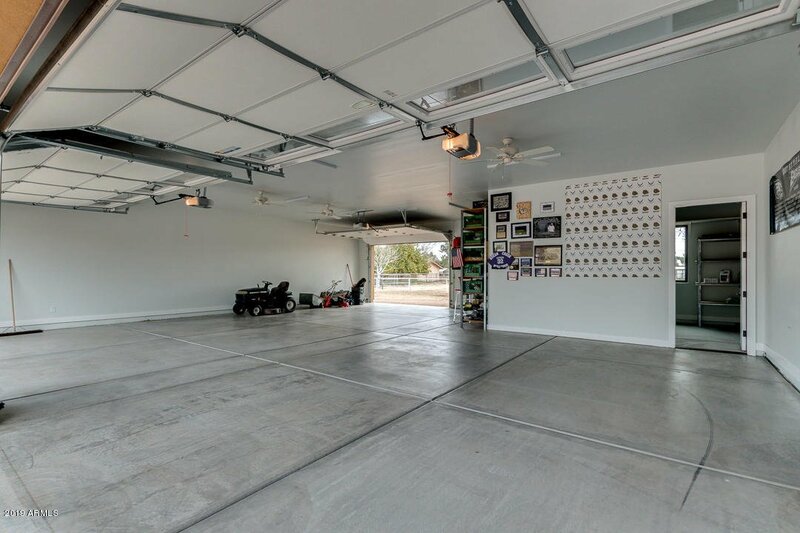 ft. storage area. 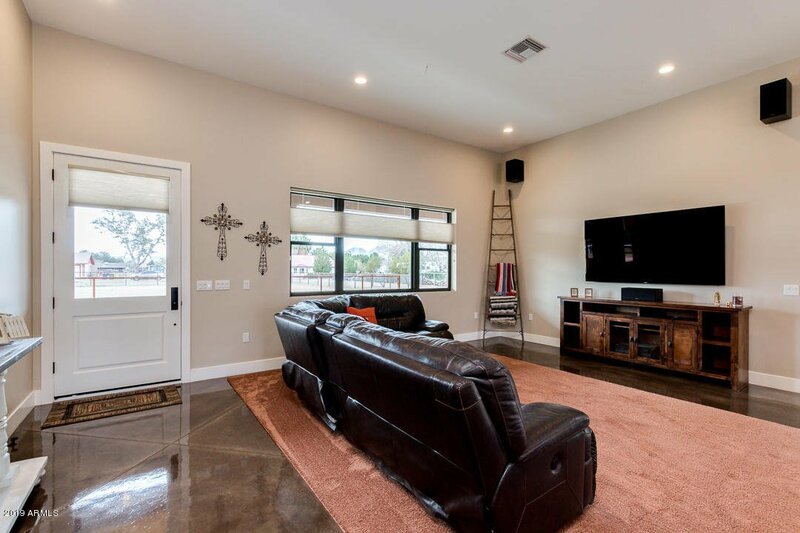 The inside is even more impressive with dark stained, diagonal saw cut, concrete throughout. 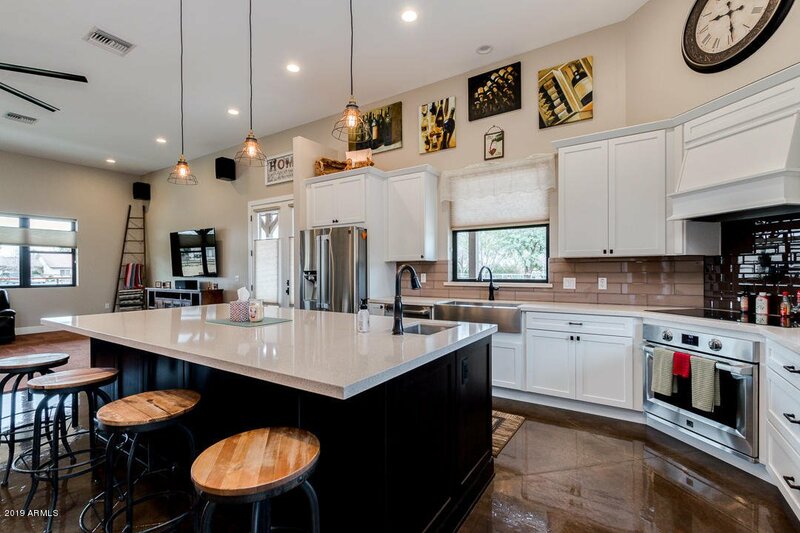 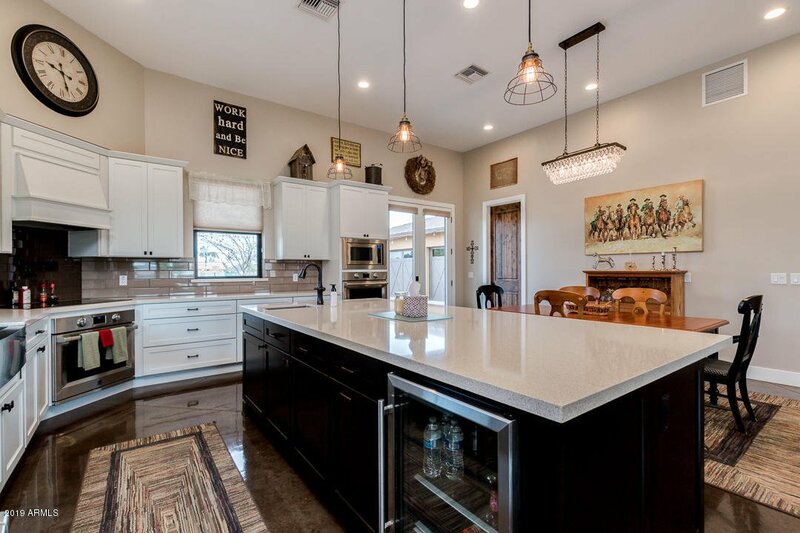 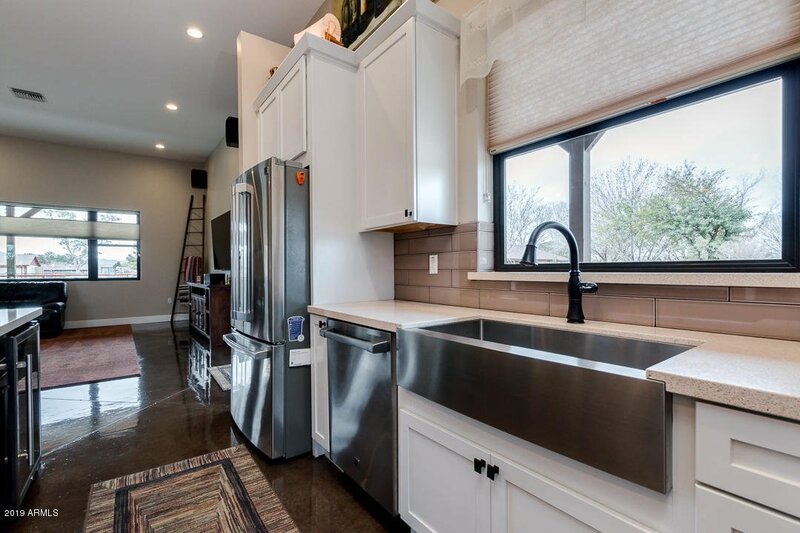 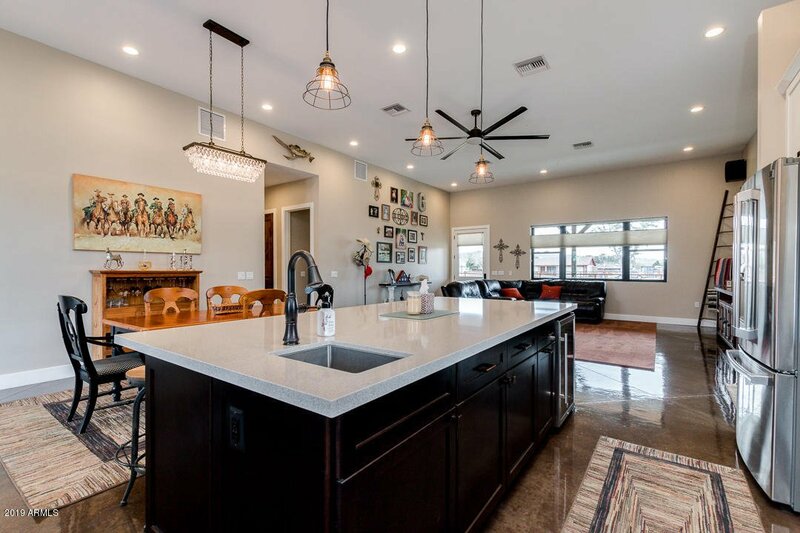 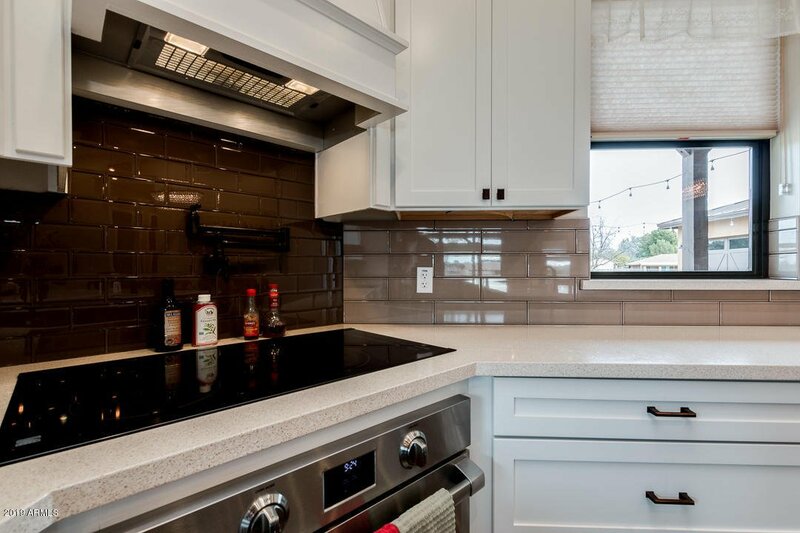 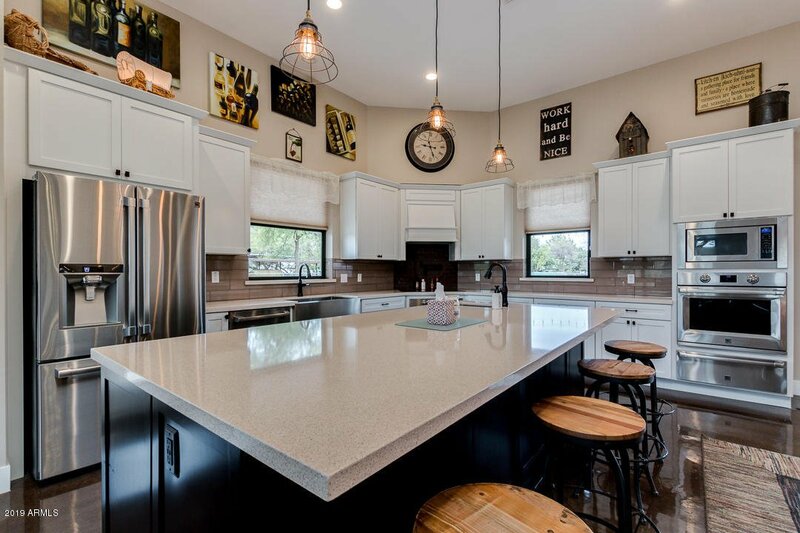 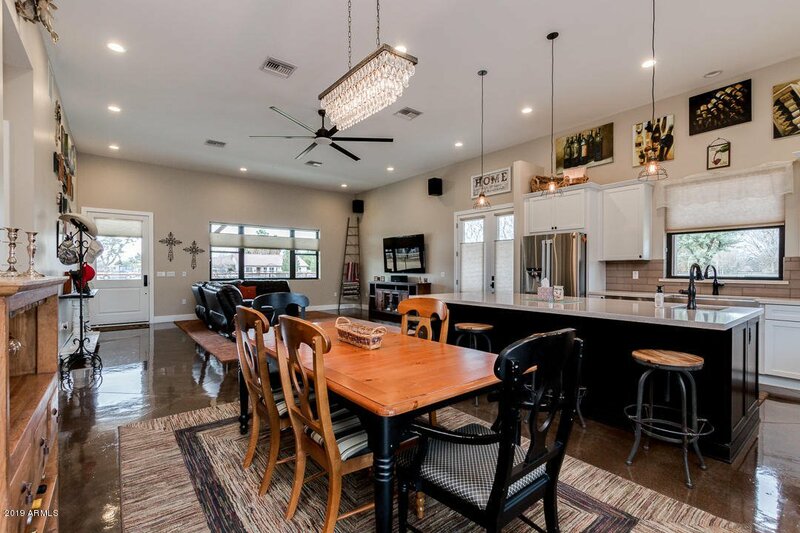 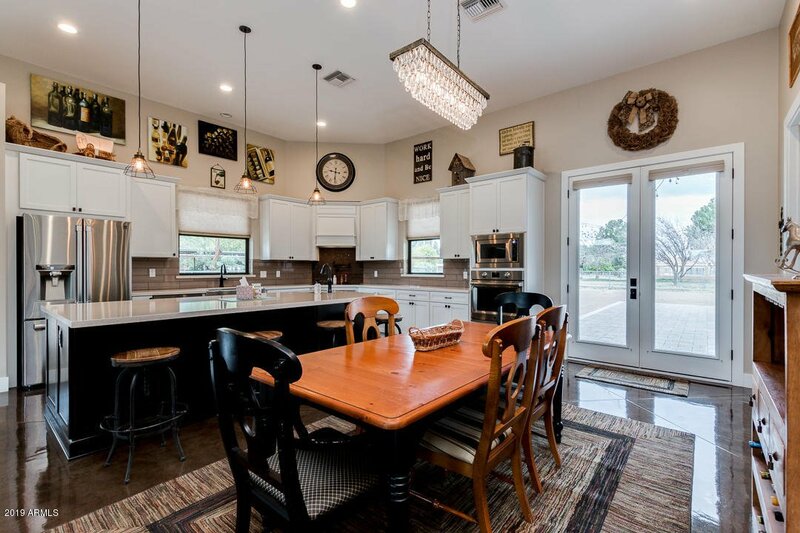 The great room opens to an incredible kitchen boasting top line stainless steel appliances, white shaker cabinets, over-sized stainless steel farm sink, light quartz counter tops, x-large island with dark shaker cabinets, vegetable sink in island, and walk-in pantry. 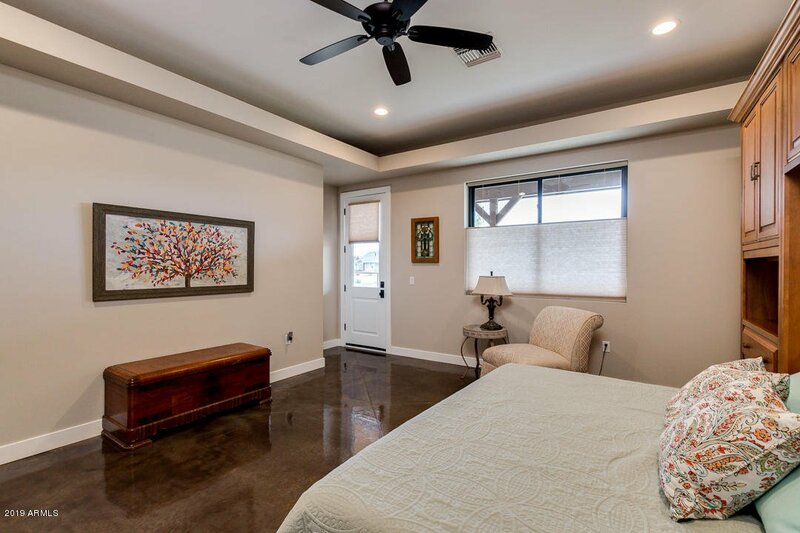 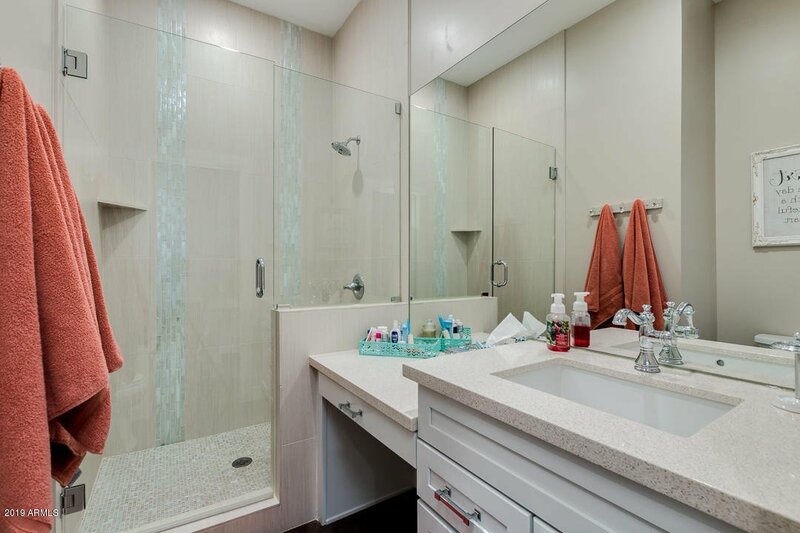 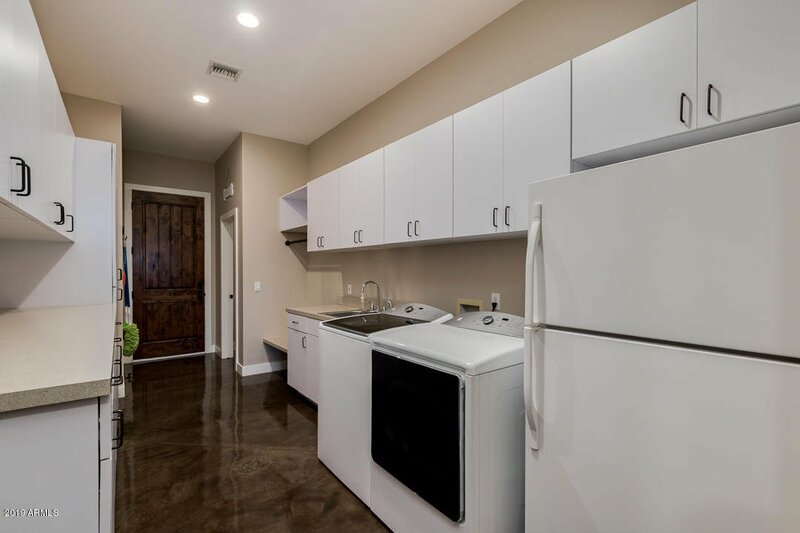 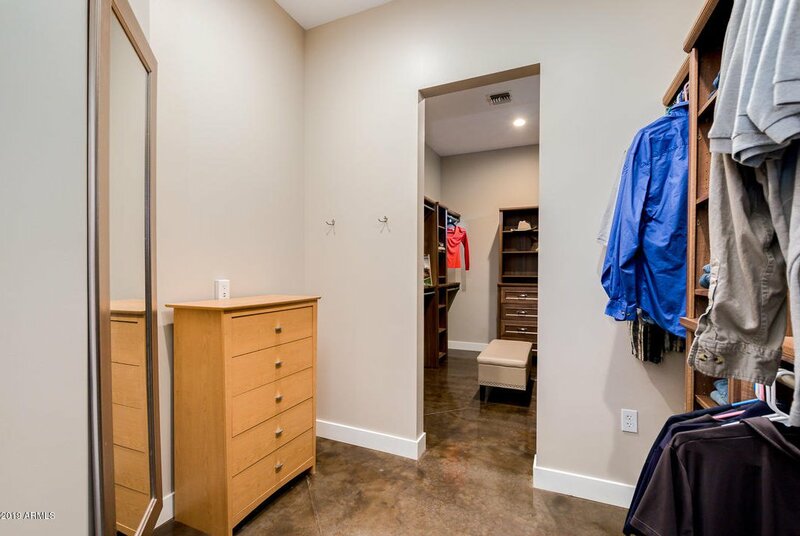 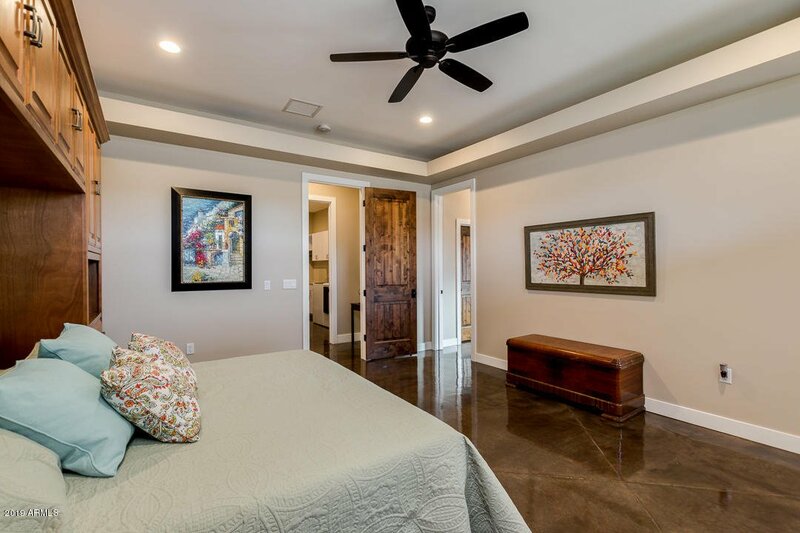 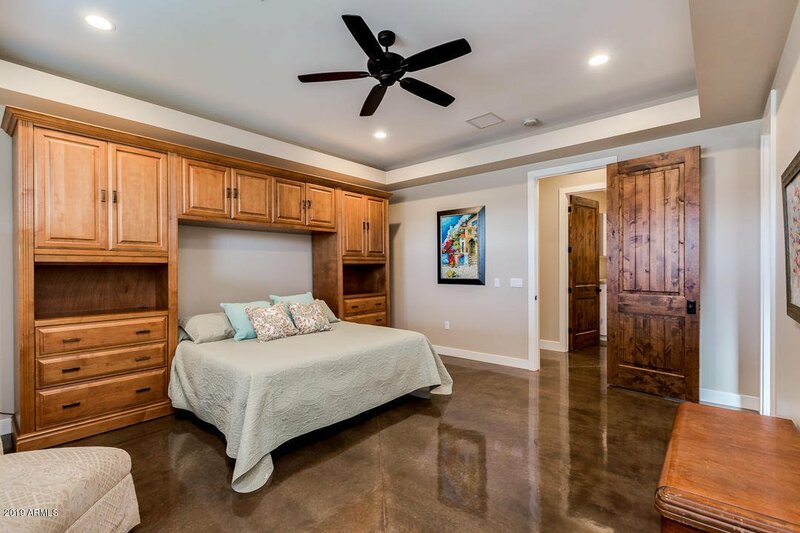 There are three bedrooms each with large walk-in closets and three bathrooms. 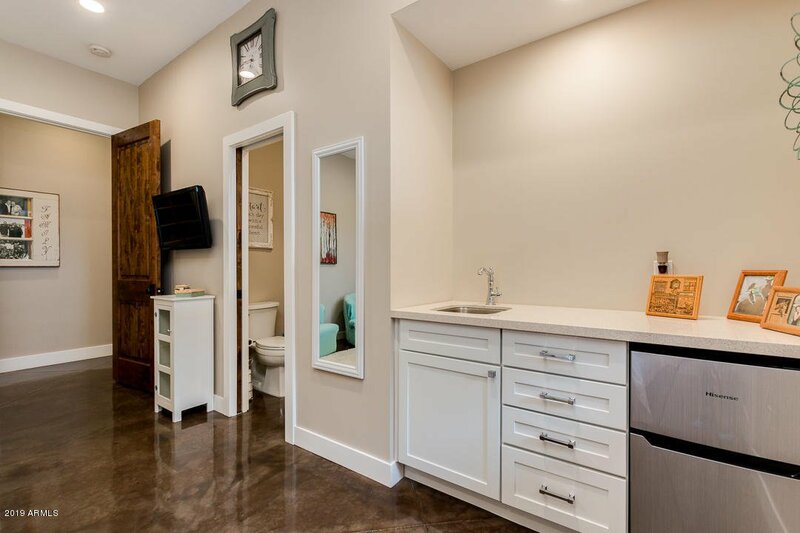 One of the spare bedrooms has an en suite and separate entrance with a small kitchenette. 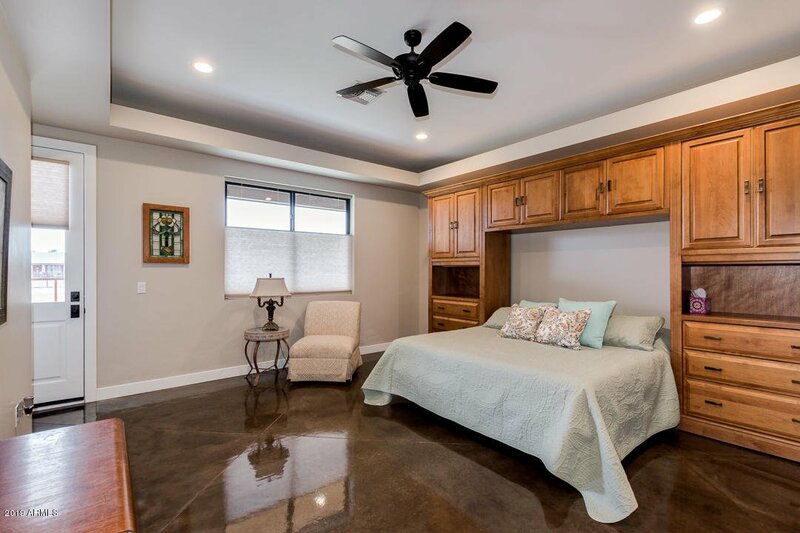 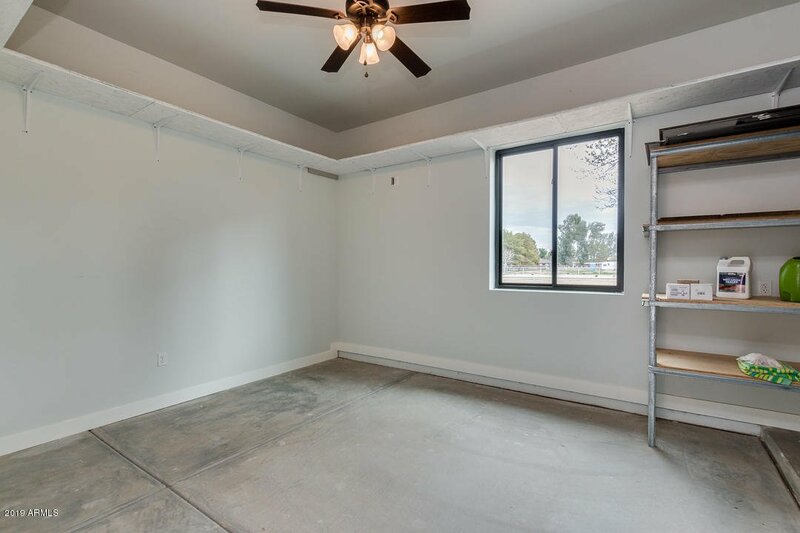 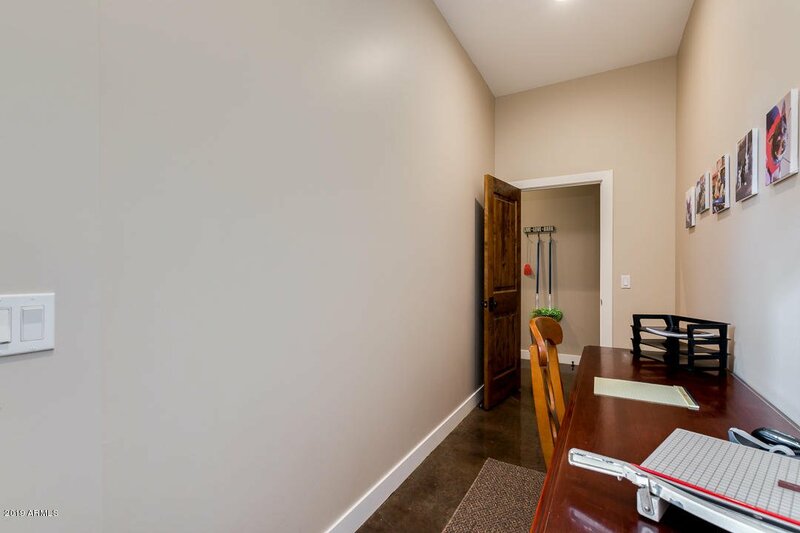 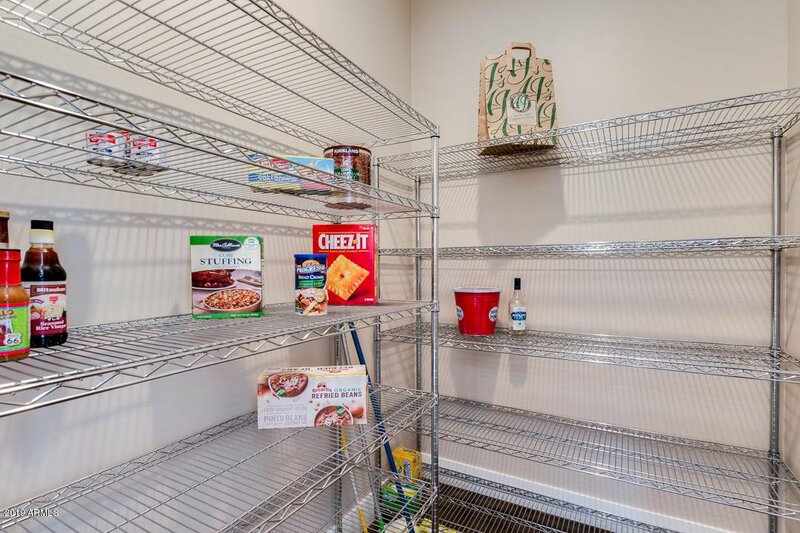 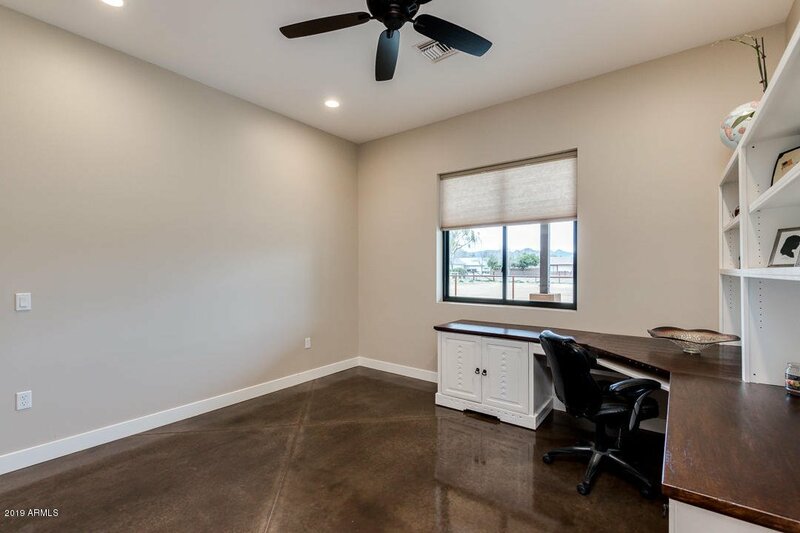 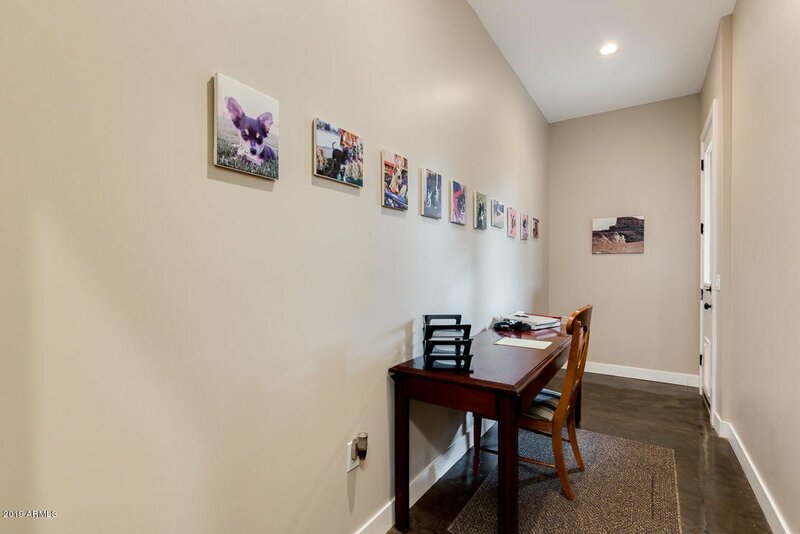 There is an additional room that could be used for an office, craft room, or dog room. 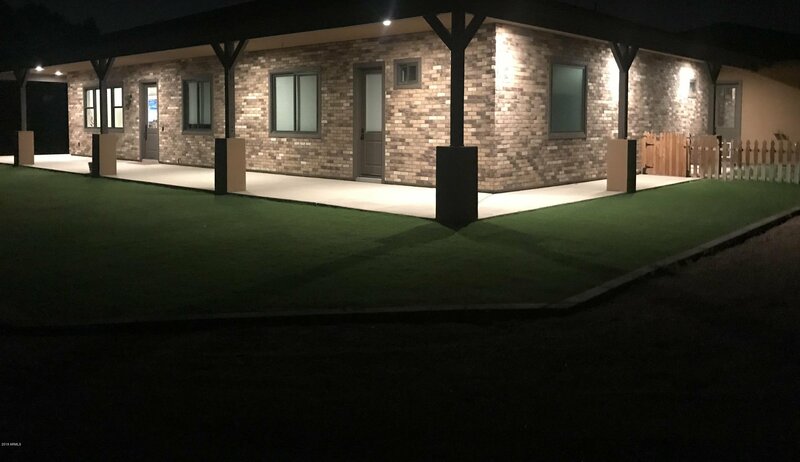 No expense was spared when building this house. 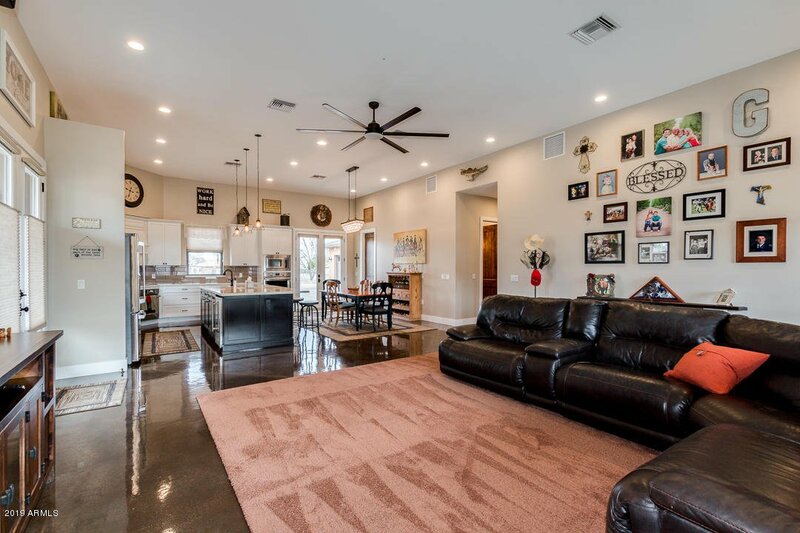 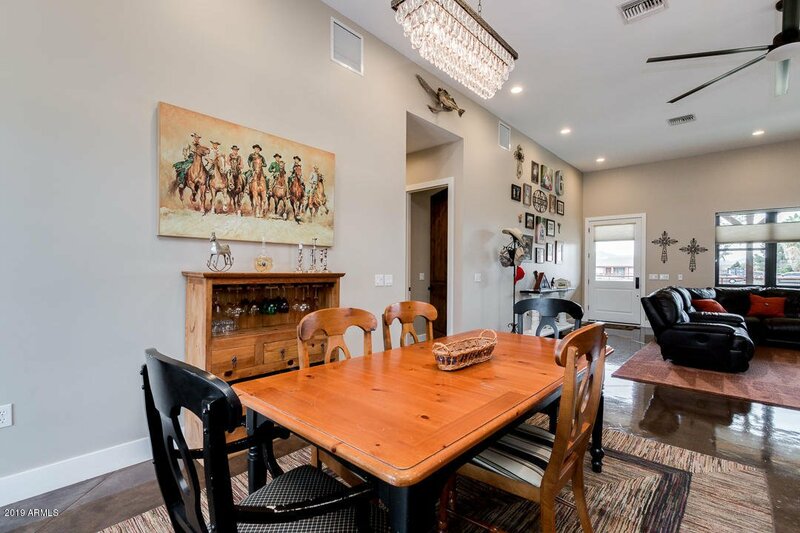 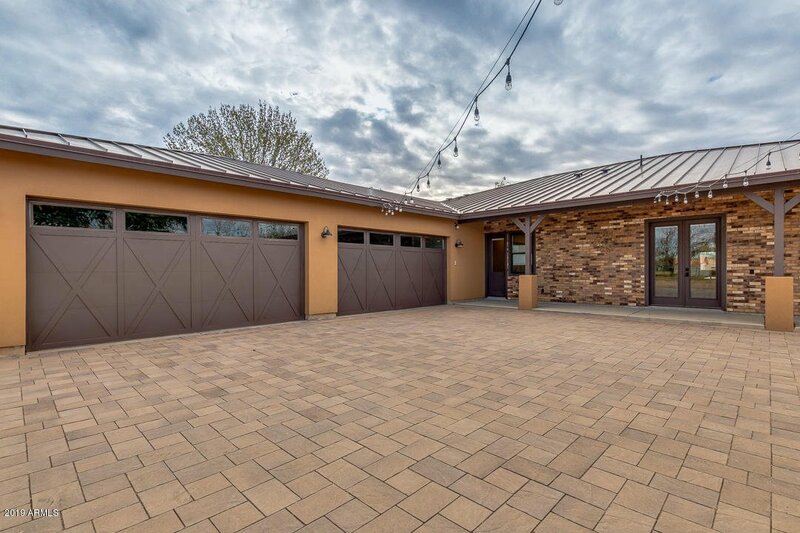 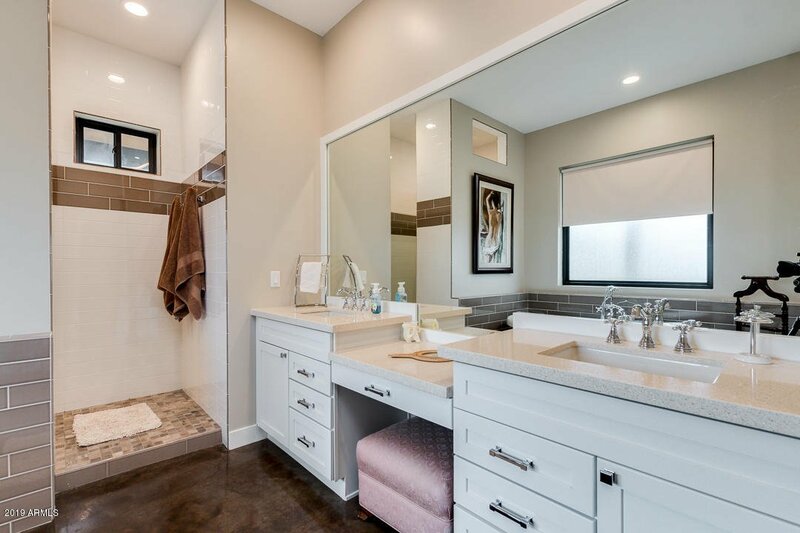 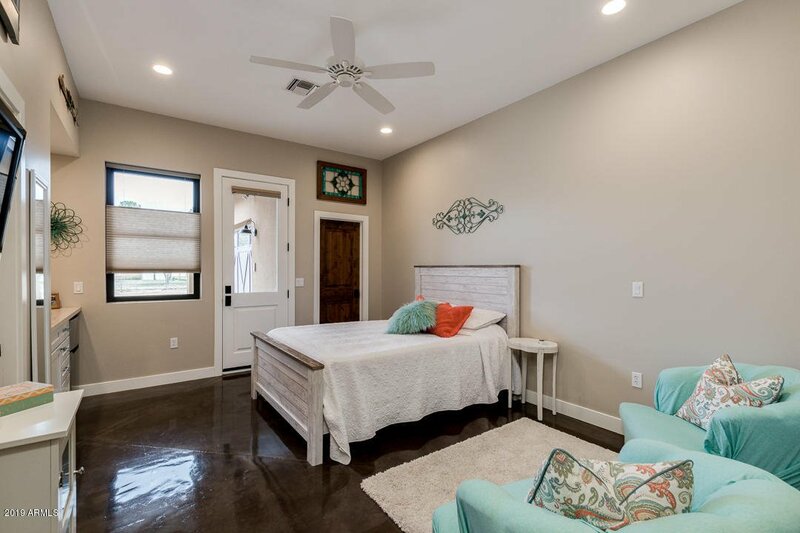 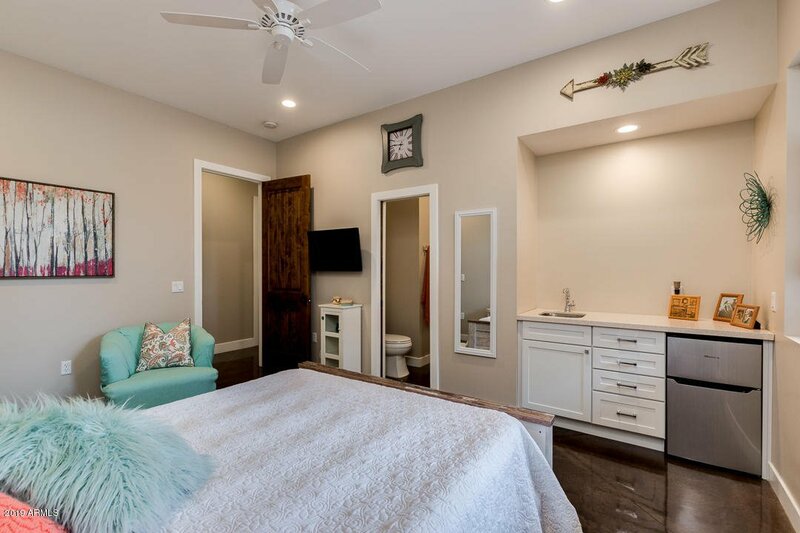 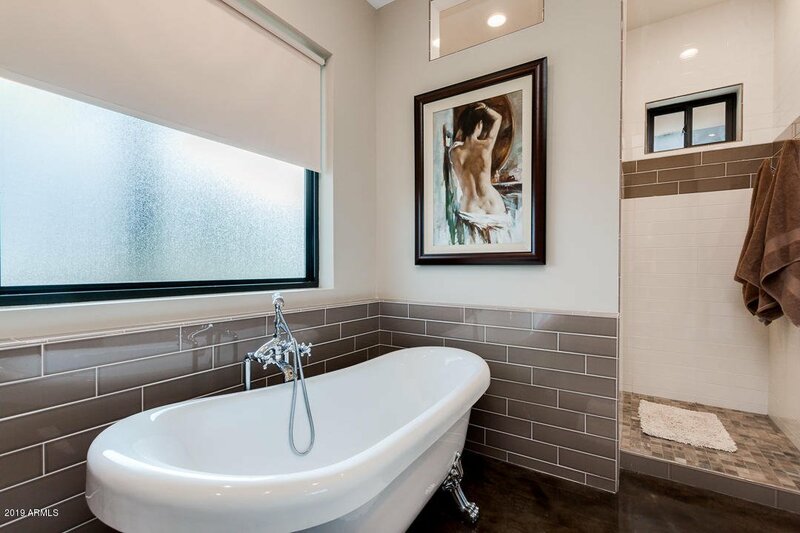 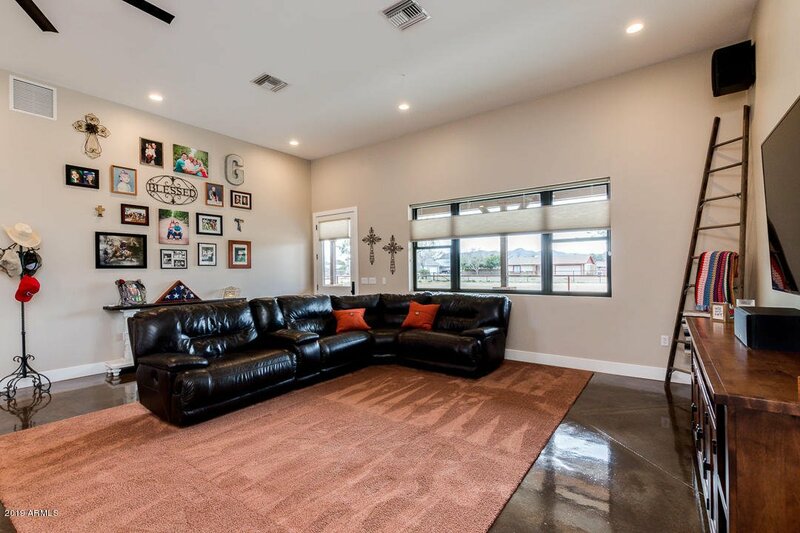 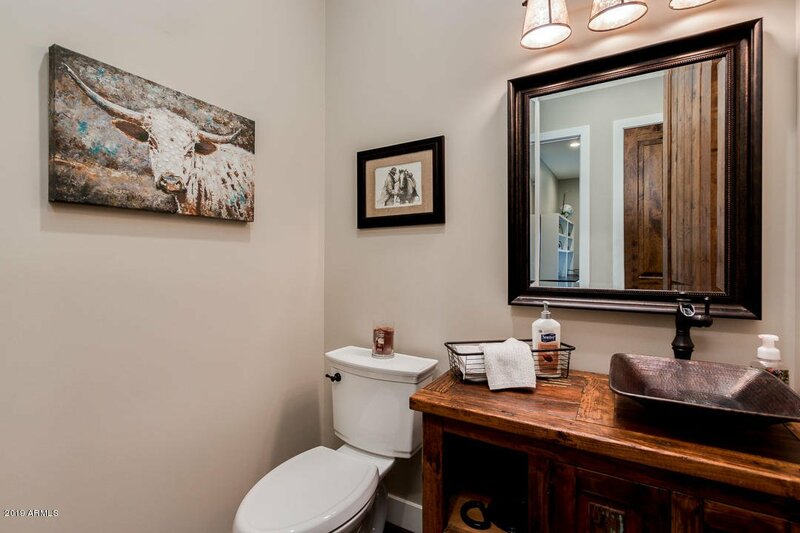 Once you see it, you will be thrilled to call this house your home.